Kobas is a constantly improving Cloud based hospitality management service that can make life easier in every area of your business operation. You’re in control from anywhere, at any time, and whether you’re looking for a high-level overview or a detailed breakdown – Kobas has everything you need. Use Kobas to manage stock control, rotas, HR, EPoS, customer loyalty and much more. It joins up all areas of your business to give you exceptional insight and control, and simplifies operations for your whole team – wherever they are. Our outstanding support service also ensures you realise the biggest benefits for your business by choosing Kobas. We’re a small UK based team, allowing us to assist you quickly, personally and knowledgeably. Unlike other technology companies, we put our clients and their success first. 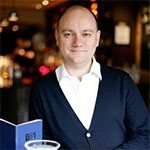 Whether you run bars, pubs, cafes, clubs, quick service, casual or fine dining restaurants, with two venues or two hundred – talk to us now and find out what Kobas can do for you. Manage recruitment and applications, create your staff rotas from anywhere, manage your labour spends versus budget, automate the holiday process and export to your payroll system. Increase consistency of critical tasks throughout your business. Easily complete stock checks, orders and transfers from mobile devices. Get 100% health and safety compliant, review detailed audit logs and track cash movements. Access real time reports on everything. Learn more about your business by tracking your customers’ behaviours. Reward positive behaviours remotely and automatically, and increase loyalty to your brand. Manage reservations, create events and sell tickets online too. 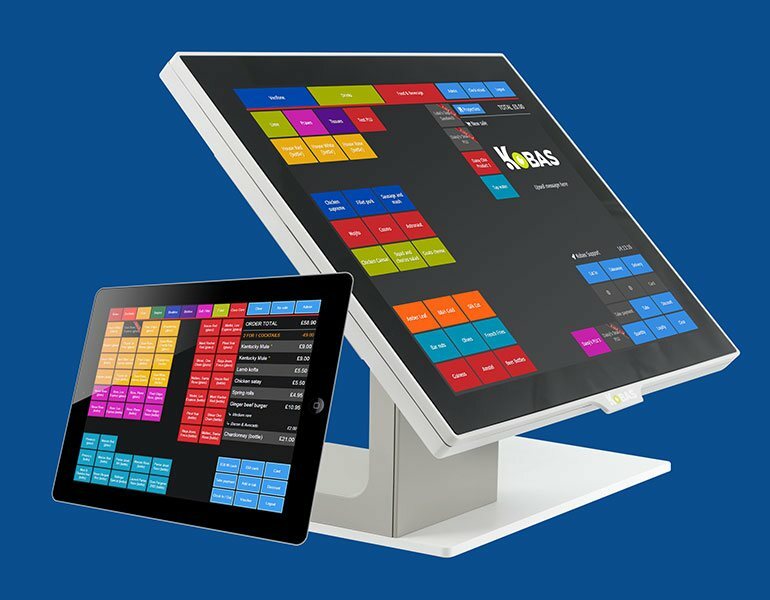 Kobas also offers a cutting edge EPoS system that runs on any modern hardware from touch screen tills to iPads. This allows your team to serve your customers more effectively than ever before, while stock is managed automatically in the background. 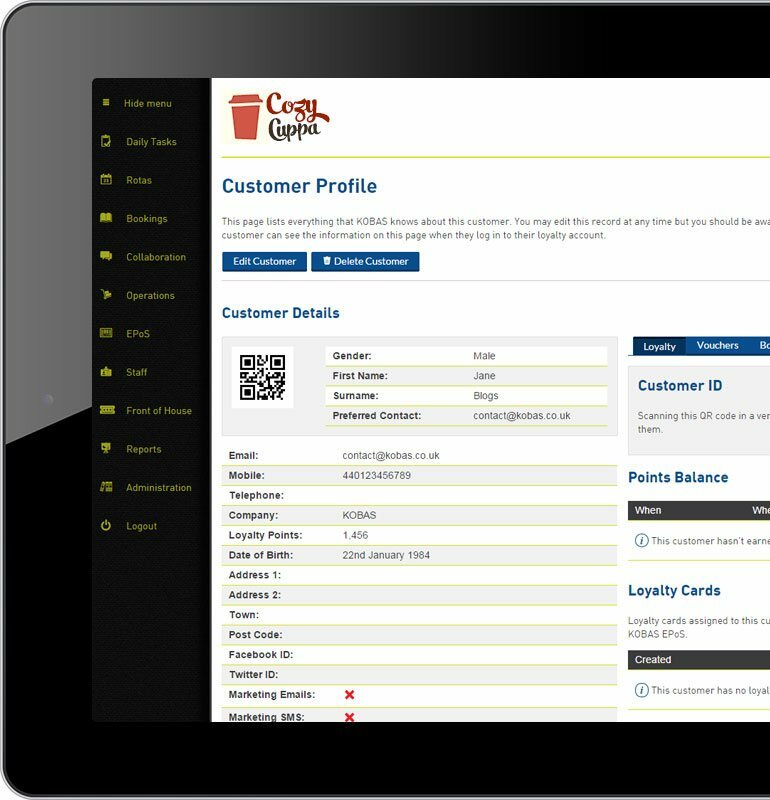 Offer over 1,000 items across multiple EPoS pages. Tracks ingredient usage for immediate use in our Cloud based gross profit and usage reports. Supports all common promotions such as buy-one-get-one free or 10% discount. Full time & attendance integration. Fully integrated customer loyalty support. Full Cloud based EPoS settings management; your tills synchronise automatically and update within minutes. Constantly improving! Check out our change log, and come on this journey with us. 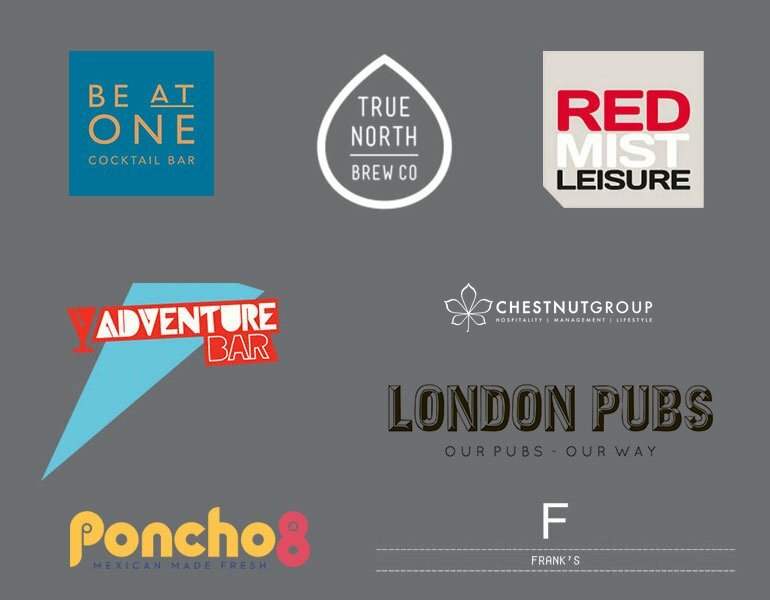 Kobas is the system of choice for many growing multiple venue operators such as Be At One, Maxwell’s Group, True North Brew Co and Red Mist Leisure. Never miss an update - follow KOBAS on social media.